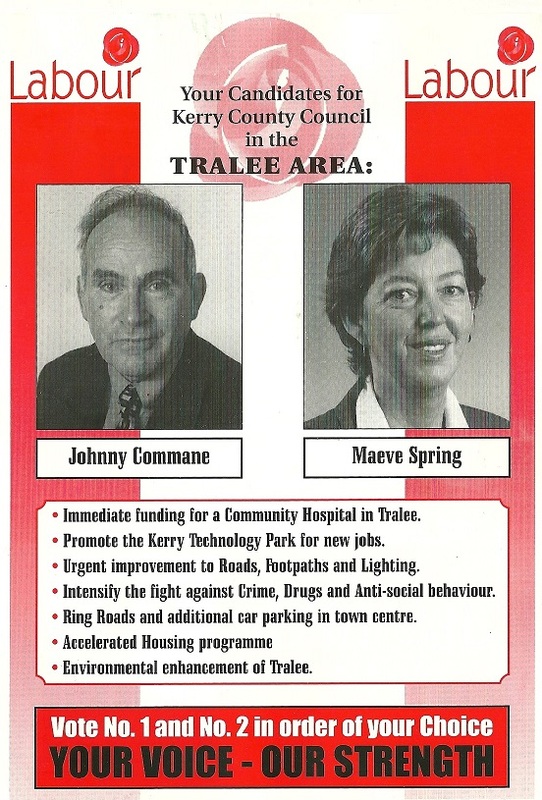 A Leaflet from Toiréasa Ferris who is running for Sinn Fein in Tralee along with Pa Daly for seats on Kerry County Council. 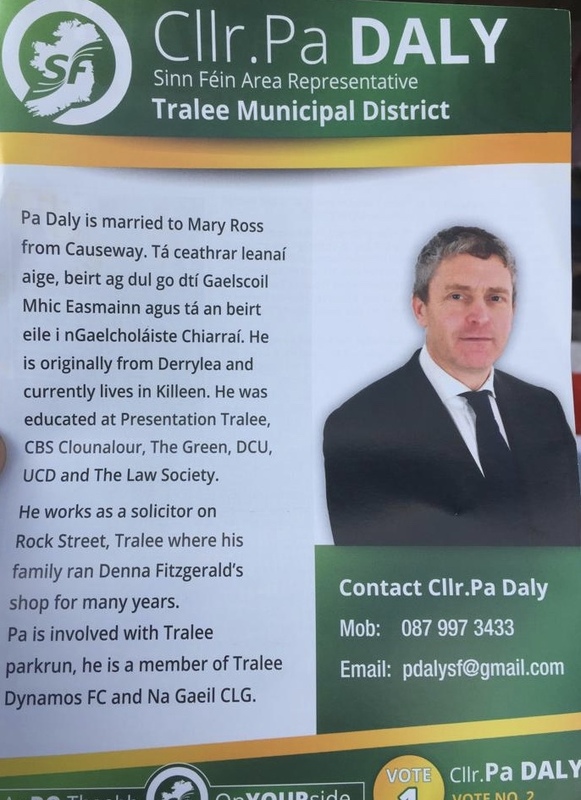 A leaflet from Pa Daly who is running for Sinn Fein in Tralee along with running mate Toiréasa Ferris fro seat on Kerry County Council. 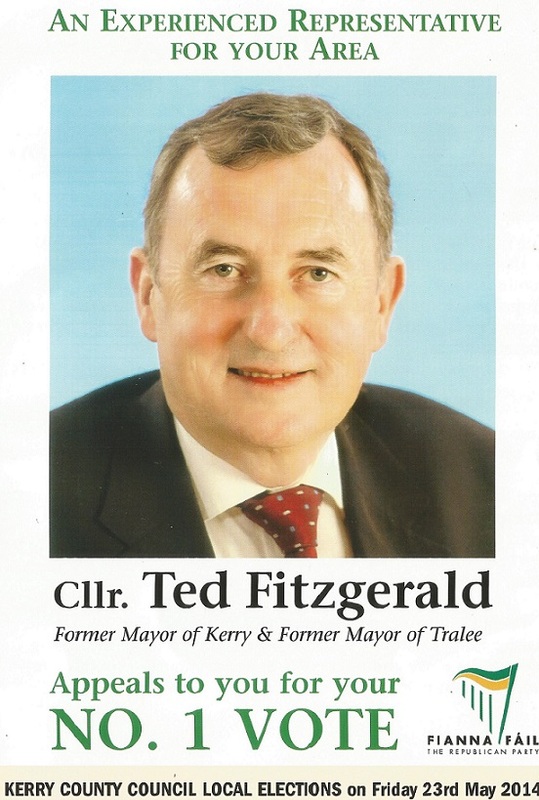 A leaflet from Ted Fitzgerald who is running for Fianna Fail in Tralee for a seat on Kerry County Council. 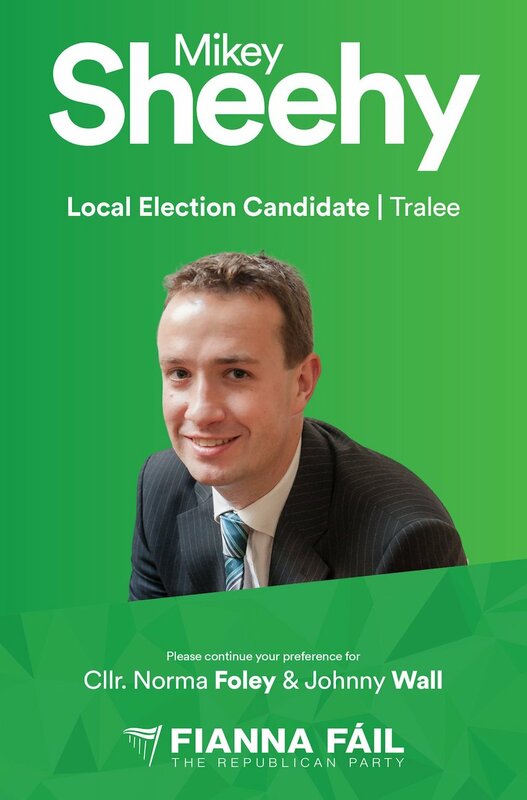 A leaflet from Grace O’Donnell who is running for Fine Gael in Tralee for a seat on Kerry County Council.